Humans are incapable of reproducing exact “copies” of reality when conceptualizing and communicating about space. Instead, those aspects of a spatial environment are represented that are relevant for a particular purpose. 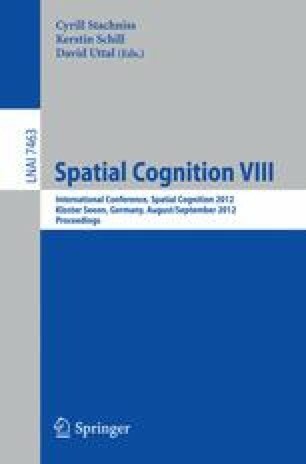 This paper addresses how cognition and communication of space are affected by relevance. It starts out with a review of a broad range of evidence from theories and empirical findings on relevance in perception and communication, before turning more specifically to the role of relevance in navigation and description strategies.